Ph.D. in Statistics was rated as the No.1 best graduate degree for jobs in 2015, according to Fortune in consultation with the careers site Payscale! The ranking is based on (1) long-term outlook for job growth; (2) median salaries; and (3) job satisfaction scores. Details see here. HKU is ranked No.4 in Asia and No.26 worldwide in the QS World University Ranking 2018. In the QS World University Ranking by Subject 2018, HKU Statistics ranks No.2 in Hong Kong, No.5 in Asia and No.28 worldwide overall. According to U.S. News & World Report 2014, HKU Mathematics and Statistics rank the 9th in the "Best Global Universities Rankings for Mathematics". HKU is ranked No. 1 in Asia and No. 10 worldwide in North American Actuarial Journal (2013 Vol. 17, 3-12), in terms of publication pages in the actuarial journals. Established in 1967, the Department has currently 17 professoriate staff and over 35 Ph.D. and M.Phil. students. For more details about the Department's research postgraduate programmes, please visit here. Click #saasRPG for the collection of posts and stories about our research postgraduate programme on our Facebook. 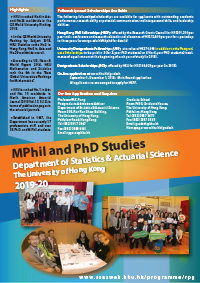 University Postgraduate Fellowships (UPF): at a value of HK$70,000 in addition to the Postgraduate Scholarships (in 2018). Postgraduate Scholarships (PGS): offered by HKU for HK$199,920 per year (in 2018). 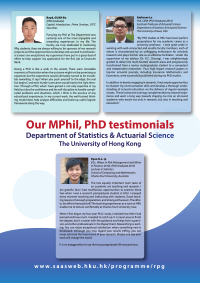 All applicants are encouraged to apply for HKPF. 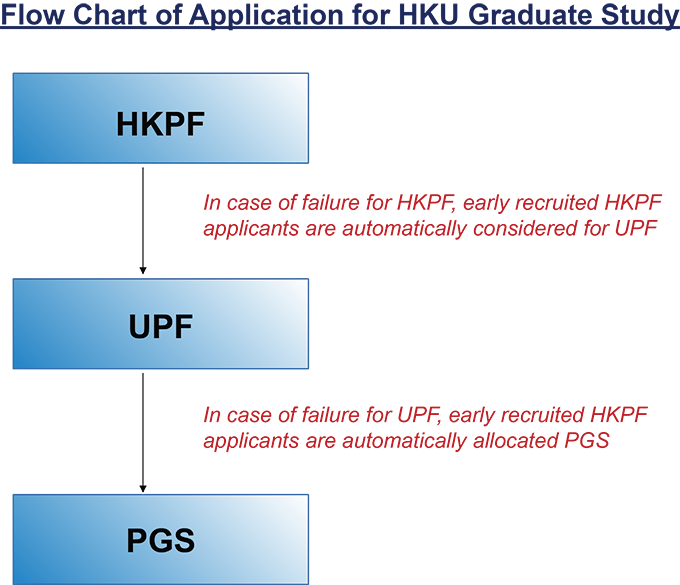 If an applicant is nominated for HKPF application, a professoriate staff will contact and work together with the applicant to prepare necessary documents for the formal HKPF application. 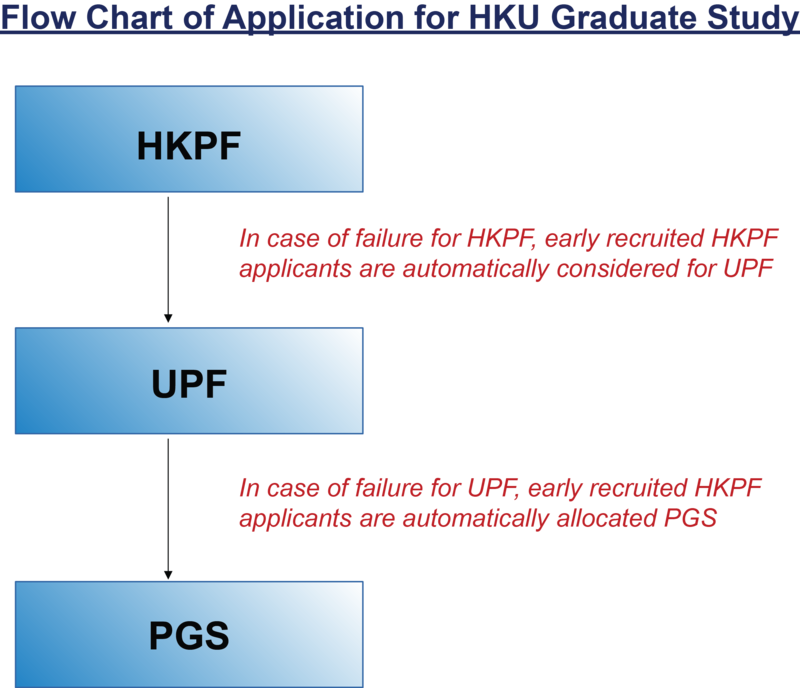 In the case of unsuccessful HKPF application, the nominated HKPF applicants will be automatically considered for UPF; and if unsuccessful application in the subsequent UPF application, the candidates will be automatically allocated PGS.